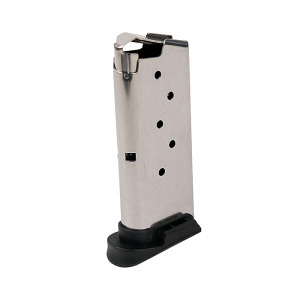 Factory Sig Sauer P290 9mm magazines. Stainless steel construction with a 6 round capacity. Bull nose skirted follower with dimple, with extended and flush baseplate.